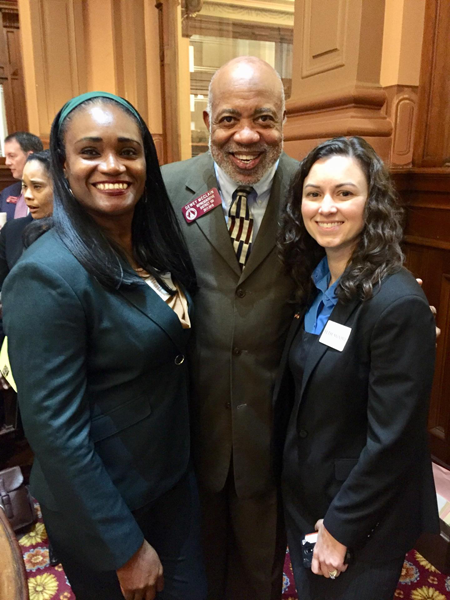 Post election week 2018 has been a busy week for Georgia state representatives. Governor Deal called a special session to vote on aid to Hurricane Michael victims. We voted for $470 million in emergency aid and tax credits for victims of Hurricane Michael as well as a $40 million tax exemption on jet fuel. But that wasn’t all for me. 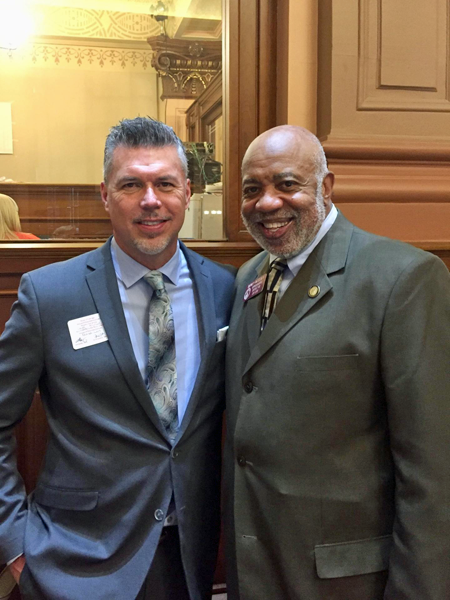 I had the pleasure of showing the newly elected members of the Gwinnett House delegation around the Capitol and the House Chambers. 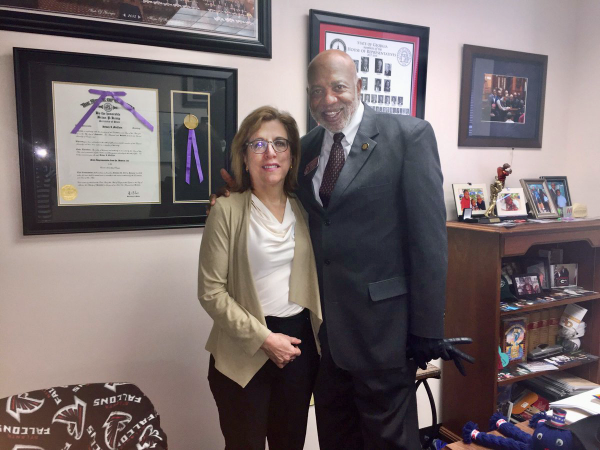 It’s important to show the new representatives around prior to their swearing in so they can hit the ground running in January and server their constituents well. Representatives Elect Gregg Kennard (HD 102), Donna McLeod (HD 105), Beth Moore (HD 95), Shelly Hutchinson (HD 107) and Jasmine Clark (HD 108) joined me during the week. 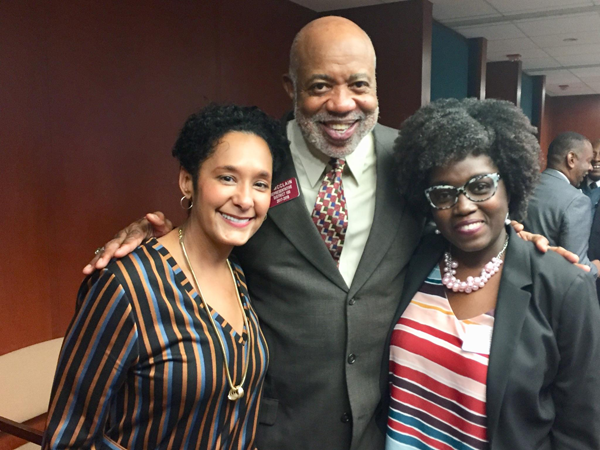 They will be joining me, Rep. Pedro Marin (HD 96), Rep Brenda Lopez (HD 99) and Rep Sam Park (HD 101) in the Georgia House of Representatives. At the end of the week, my webmaster, Ilene Johnson, visited me and got to see the workings of the House. With the special session ended, it’s now time to focus on the December 4 runoffs. Please go vote for John Barrow for Secretary of State and Lindy Miller for Public Service Commission. We need a Democrat in the Secretary of State’s office to ensure fair and well run elections. We need a Democrat on the Public Service Commission to represent the average person and not the big utilities. VOTE! Ilene Johnson, my web master, and me. Error: Error validating access token: Session has expired on Tuesday, 02-Apr-19 08:30:49 PDT. The current time is Friday, 19-Apr-19 23:48:44 PDT.